The Patriarch of Serbs, Irinej expressed his strong dissatisfaction and concern over the decision of the Ecumenical Patriarchate to proceed with the recognition of the autocephaly of the Ukrainian Church. “I have been experiencing the latest announcement of the Holy Synod of the Patriarchate of Constantinople of the 11th of October, as a move leading to schism”, said the Serbian Orthodox Church (SPC) leader, in an interview with Večernje Novosti. Irinej expressed the view that the Ecumenical Patriarchate follows the tactics of Pontius Pilate, avoiding to assume responsibility for his actions. 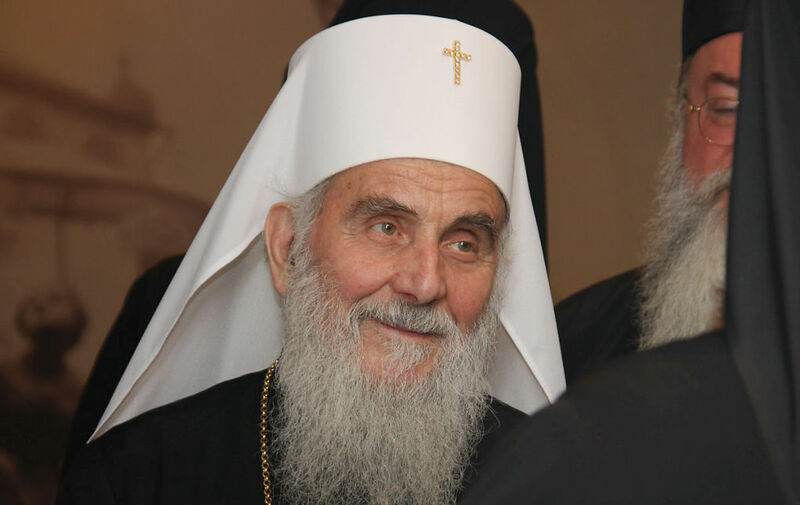 “In the paragraph of the text of the decision on Ukraine, which calls for the avoidance of acts of violence, reprisals, seizure of temples and monasteries, the Ecumenical Patriarchate seems to close his eyes to the easily foreseeable consequences of his actions, from Pilate”, Patriarch of the Serbs Irinej points out in his interview with the Belgrade newspaper Večernje Novosti. The Serbian Orthodox Church has repeatedly expressed its opposition to any unilateral action on the part of the Ecumenical Patriarchate over Ukraine. The problem for the Serbian Church is not only the preservation of the ecclesiastical order, but also the fear that something similar will happen in Montenegro and fYROMacedonia.